Gov. Rick Perry (R) had called on the legislature to pass both bills. It is almost certain that he will sign the unemployment drug testing bill into law. 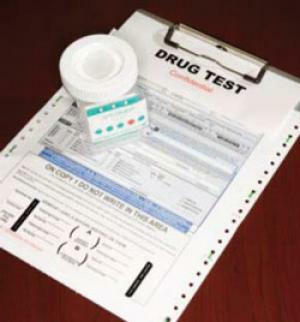 The unemployment drug testing bill, Senate Bill 21, would require some unemployment applicants to undergo a written screening for substance abuse, and if the written screening indicates likely drug use, the applicant would have to pass a drug test to receive benefits. The bill singles out workers in occupations that already require drug testing. Those occupations are those listed by the US Department of Labor as "an occupation that regularly conducts pre-employment drug testing." Applicants who are already enrolled in drug treatment programs or who enroll in such programs after a failing a drug test would still be eligible for benefits. "The intent of this bill is to help lift people up and help them towards a better way," said Republican Brandon Creighton, the House author of the bill, "and at the same time making sure that the unemployment benefits fund is solvent and there to help those that need it the most." Democrats argued that there is no reason to think people who are laid-off from their jobs are more likely to use drugs than anyone else, to no avail. "Losing a job is a very traumatic thing," Democratic Rep. Chris Turner said during debate in the House last week.. "Aren't we just adding insult to injury in what is a very traumatic situation already?" Eight states have passed legislation requiring drug testing for public benefits recipients. They are Arizona, Florida, Georgia, Kansas, Missouri, Oklahoma, Tennessee, and Utah. In most of those states, drug testing is required only if state officials suspect possible drug use. Florida and Georgia laws both mandate suspicionless drug testing, but the Florida law has so far been blocked by the courts, and the Georgia law is on hold pending resolution of the Florida case. Good luck with this on 4th amendment grounds. Question 1: Are you stoned right now? I'm really curious to see what the written screening is like. I'm a very long time smoker (30+ years), and I don't think that unemployed or welfare using folks smoke any more than anyone else but...smoking (pot or cigs for that matter) is a personal choice, and one that costs money. If you are making bad money choices, I don't want to give you any more of my hard earned money to make bad choices with. I always paid my own way, and during the couple times I didn't have a job, I cut back. If you are on any government assistance program, you don't have money to spend on weed, or cigs, or movies, or cable, or cell phone.....you get the point! "If you are making bad money choices, I don't want to give you any more of my hard earned money to make bad choices with." It's one thing to believe there should not be an unemployment insurance program but it's a whole different matter to support discrimination by our government by targeting cannabis consumers. If you are laid off your job, smoking pot is an excellent and productive stress reliever with a wide safety net compared to other licit and illict substances. Unfortunately, too many depressed unemployed folks hit the booze bottle and/or use deadly prescription drugs, which are conspicuously exempt in this type of legislation. I wonder how much of our tax money goes to clean up after people using alcohol/prescription drugs compared to people peacefully using cannabis. I hear it's a lot. I can understand the argument that if you're on government assistance, you shouldn't be using the money for weed since it's a luxury item (unless medically necessary). But the problem with the argument is that it assumes someone who tests positive has used the gov't money to buy weed. This is a terrible assumption. What if you just have nice friends who smoke you out occasionally? What's the problem with that? Not to mention the fact that it's way easier to detect weed than any other drugs, so smokers will be disproportionately affected compared other drug users...for example cocaine users, who could spend far more money on their habit but easily get clean in time for a drug test. not to mention that if the repulsive 'war on drugs' was completely ended the unemployed could grow their own, with little or no expense!